Xavier Sams is a native of Florence. 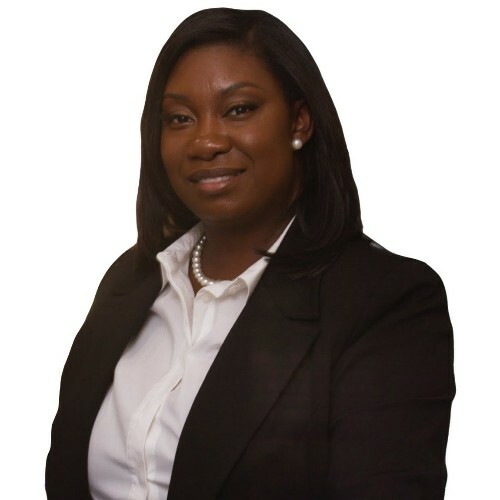 After graduating from Wilson High School, she attended Francis Marion University where she completed her Bachelor of Science degree in Sociology and Webster University with a Master of Arts in Counseling. This Florence native, began working in the field of Counseling over seven years ago. Xavier's counseling experience has prepared her to provide superior service to all of her Real Estate clients and customers. She received her Real Estate Salesperson License and joined Griggs, Floyd & Grantham. Honesty and integrity, along with determination and dedication are philosophies that Xavier strives for in all aspects of her life. If you are planning on buying or selling in the Florence Area and looking for a resourceful agent, contact Xavier for personalized customer care. She takes pride in servicing her clients by delivering exceptional service and establishing life long relationships. Xavier looks forward to working with you to meet your real estate needs.